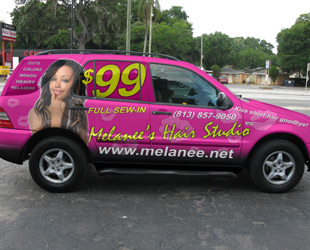 Encase your car, truck or van in one of our Tampa vehicle wraps and turn your transportation into a moving billboard. Research by the ATA (American Trucking Association) has proven that mobile advertising campaigns have the capability of making a significant impact on company/product recognition and sales. Let us help you get noticed in big ways. and get a free estimate for your car, truck or van! There's no better way to make a statement about your business or services than by turning your vehicle into a roving advertisement of your wares. 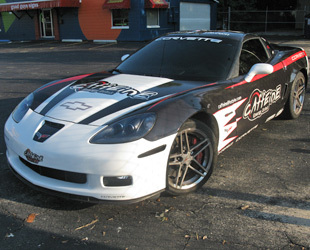 Unlike our graphics and decals, Tampa vehicle wraps are designed to fully envelope your car, truck or van and turn it into a first-rate, non-stop, eye-catching super-ad. Traditional billboards are stationary and, therefore, limited in their reach and scope. 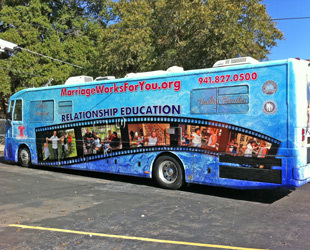 Wrapped vehicles - or mobile billboards - however, make an impact wherever they go. The vinyl utilized for our Tampa vehicle wraps was specially designed for flexibility and durability, which means it is capable of withstanding the heavy winds and rain that we experience here in Tampa Bay. It is additionally engineered to prevent the formation of air bubbles that might hinder its full adherence to the surface of your vehicle. Perforated graphic films are used over the windows of the vehicle to improve visibility and maintain safety standards; however, the films are never applied to the windshield or front windows of the vehicle. 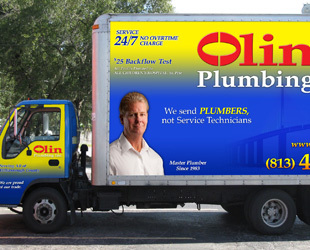 Imagine a larger-than-life-sized depiction of you or your products on display, enticing customers - or potential customers - throughout the streets of Tampa Bay to stop by, give a call or take a look at your web site. 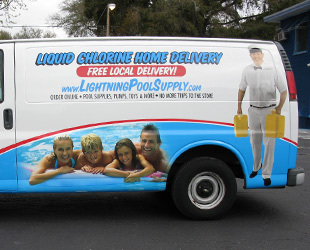 Tampa vehicle wraps make a clear and visible statement about your business, and it has been proven that the novelty of their appearance produces a lasting impression that individuals recollect at a rate of 97%. This means that even if the individuals that see your mobile media advertising are not in need of your products and services, they will be able to recollect - and possibly suggest - your business to relatives, friends and colleagues who are in need of the products and services that you offer. 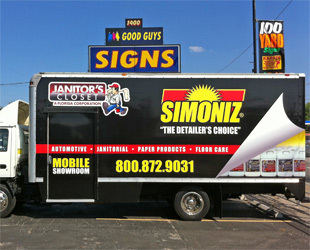 If your business is in need of a marketing boost, and you're looking to get the attention of the potential customers sharing the roadways in your community, consider making your company vehicle a mobile billboard. With studied and proven results of marketing success, Tampa vehicle wraps are one of the easiest ways to make a lasting impression, and we are the leading company in Tampa Bay to help you make that happen. With our state of the art equipment, experienced team and affordable pricing, we have the combination of tools and know-how to get you noticed without breaking the bank. We perform Tampa vehicle wraps in Tampa, Florida as well as St. Petersburg, Clearwater, Largo, Palm Harbor, Brandon, New Port Richey and throughout the Tampa Bay area.